With the spread of DNA sequence data, models of DNA sequence evolution rapidly proliferated. In 1969, Jukes and Cantor had articulated the simplest model to describe chnges from one nucleotide base to another. 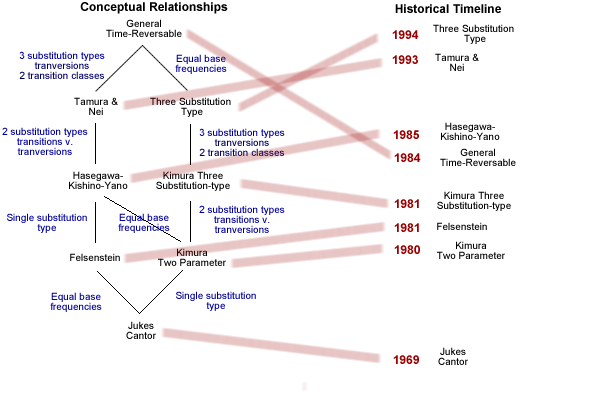 By 1990, an array of more complex models had been articulated using different probabilities of change for transitions and transversions and different initial frequencies of the bases.